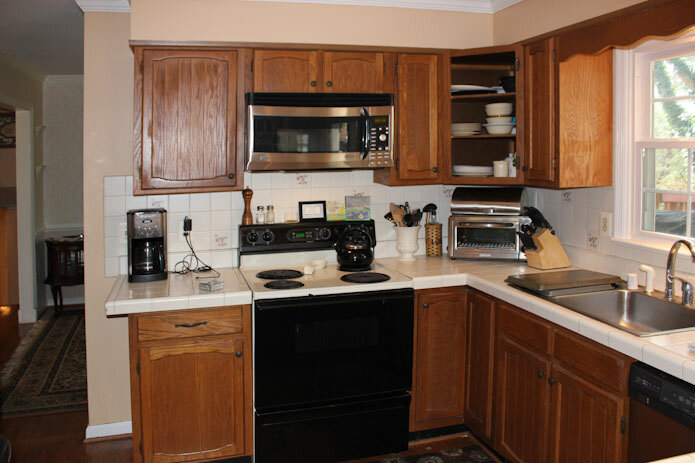 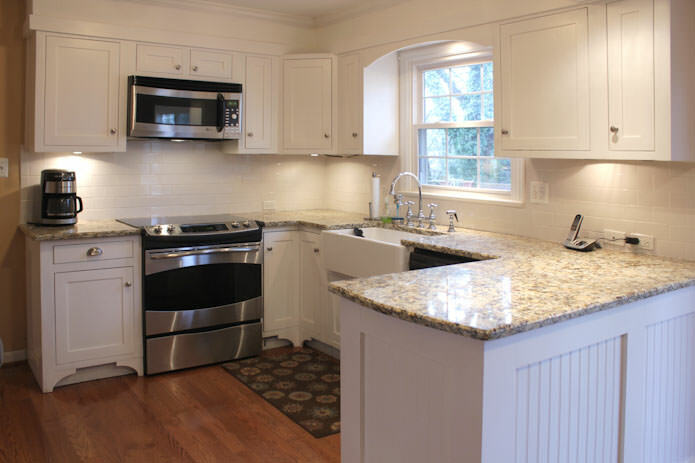 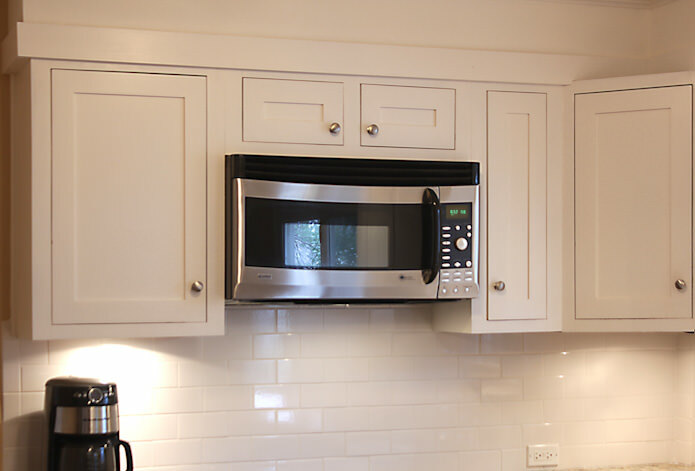 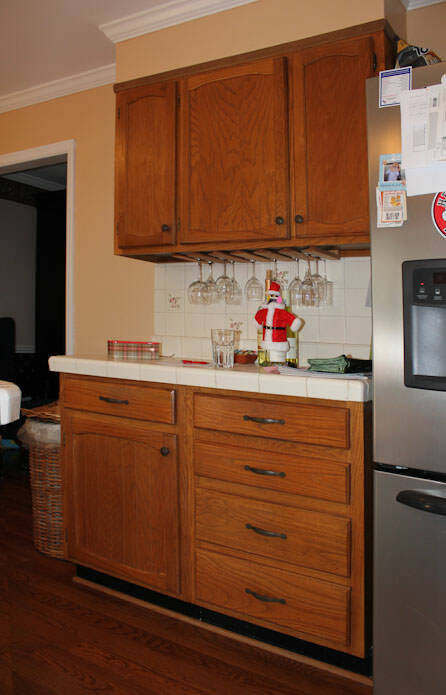 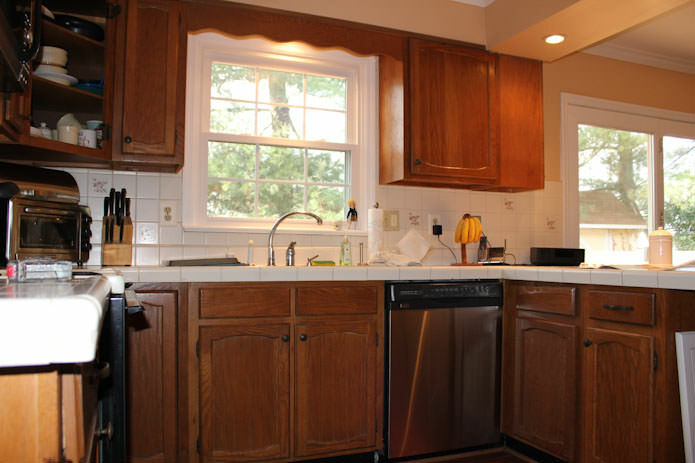 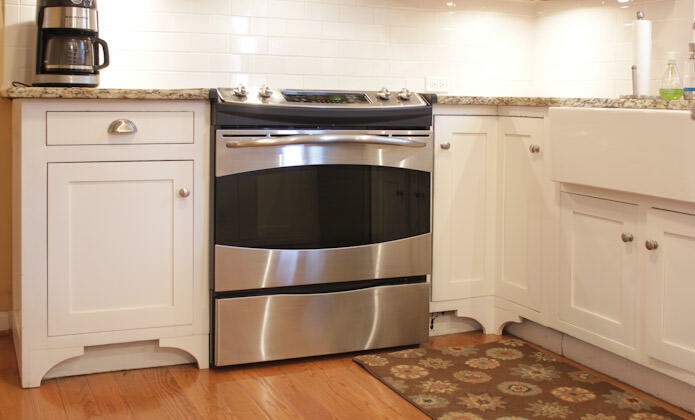 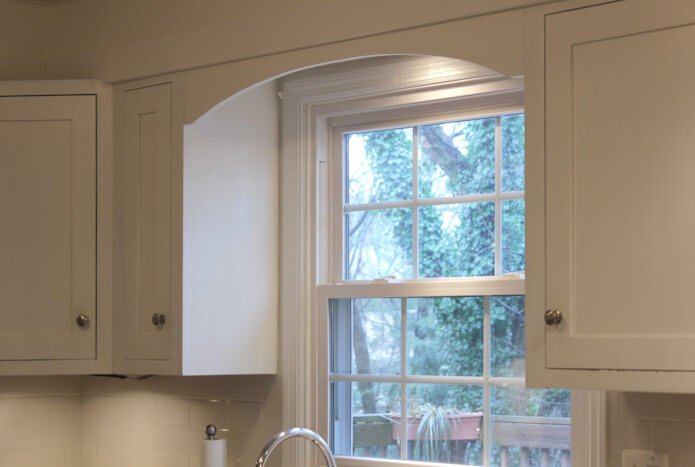 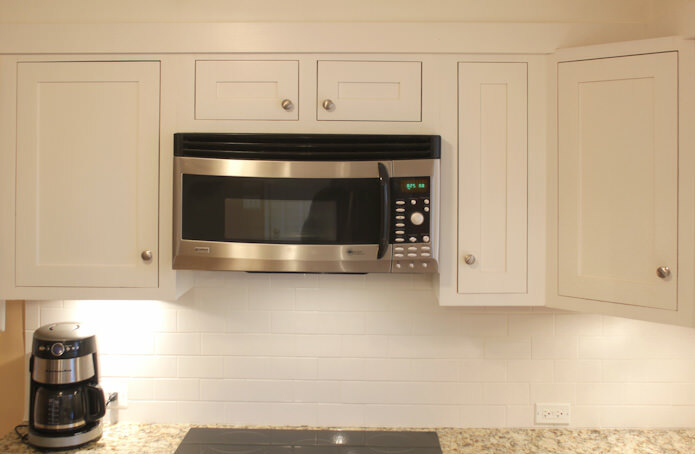 Very outdated style oak cabinets were refaced with inset, shaker doors and an off white finish. 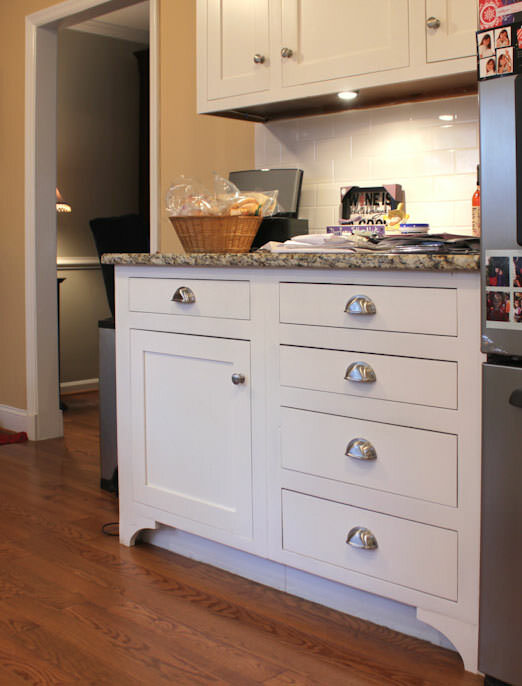 New crown molding and custom base cabinets legs were added in addition to new, solid maple, dovetail drawer boxes with Blum undermount, soft close slides. 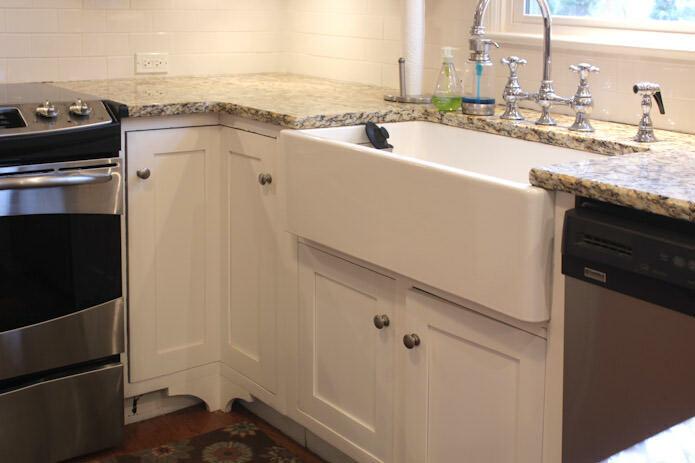 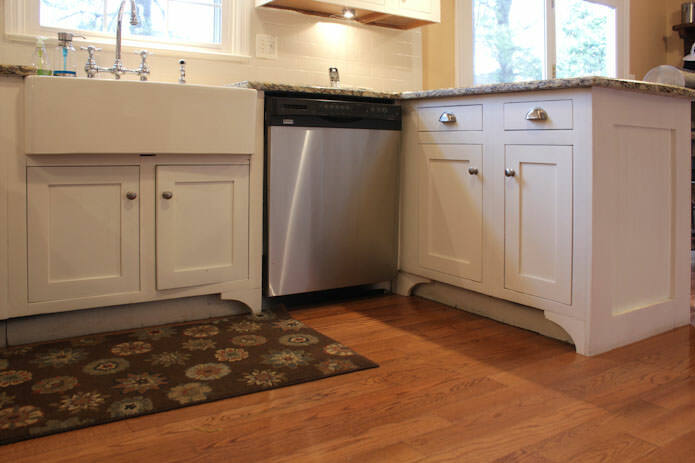 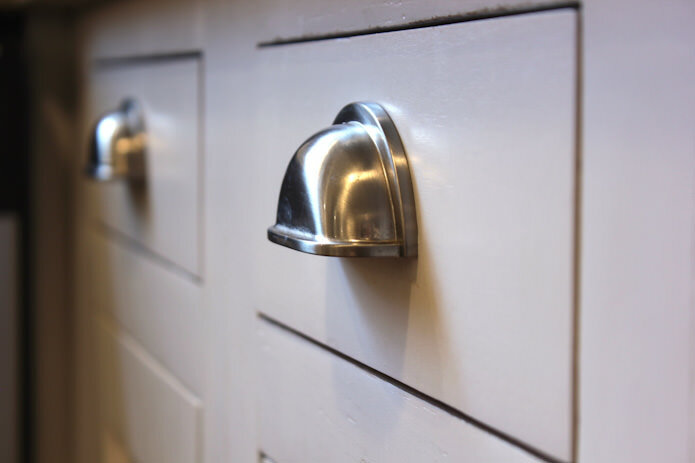 The sink base cabinet was rebuilt and reinforced to accommodate a beautiful, new farm sink. 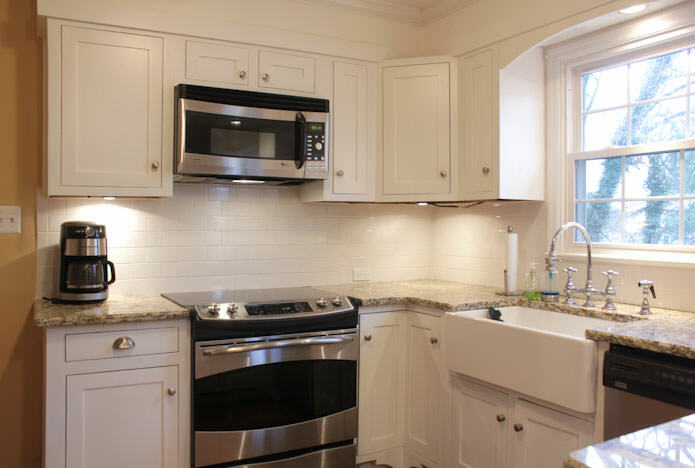 New counter top and white subway tiles provided the finishing touches.